SKU: 4016. 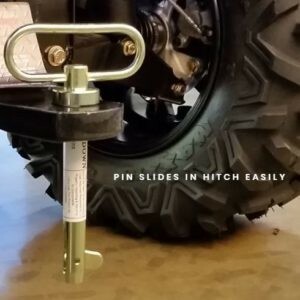 Categories: Shop All ThinLine Products, Horse And Rider Tack, Horse Boots. Tag: ankle fetlock horse boot. Sturdy double velcro and elastic closures. The pliable, yet firm plastic shell protects ankles from impact. 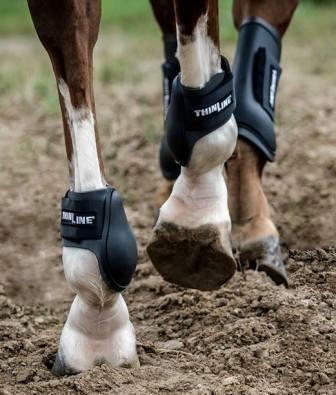 The ThinLine lining disperses shock and promotes healthy conditions for the horses’ legs. The molding ability of the lining allows this horse ankle boot to fit a variety of horses while still providing a tight, custom fit. These horse schooling ankle boots are infused with USDA approved anti-fungal agents to prevent spreading skin diseases. The performance, style, and durability of these boots are making them the choice of professionals on the Grand Prix circuit like Kent Farrington, Beezie Madden, and Anne Kursiniski. in Black or White. One size fits most. Get ready for a custom fit – ThinLine molds to your horses’ leg. 30-day satisfaction guarantee. One year warranty. Hassle Free Returns. A very durable boot. You will love the easy fit, care, and quality. What we love most about this boot! Simply hose off and they are like new again. Feel free to use dish soap. Hang to dry. Place the white ones in a bucket with a little bleach and see them turn white again!